Edda Heiðrún Backman was an Icelandic actress, voice actress, singer, painter and director. 101 Reykjavík is 2000 film based on the 1996 novel by Hallgrímur Helgason. Both are set in Reykjavík, Iceland. The film was directed by Baltasar Kormákur and stars Victoria Abril and Hilmir Snær Guðnason. The title is taken from the Íslandspóstur postal code for the Miðborg district of central Reykjavík. The film won nine B-class film awards and received ten nominations most notably winning the Discovery Film Award at the Toronto International Film Festival. Brian Douglas Bell was a New Zealand environmental consultant and ornithologist. David Fuseini Abdulai was a philanthropist, physician and founder of the Shekinnah clinic in Tamale, Ghana. He was the fifth recipient of the Martin Luther King Jr Award, conferred on him by the US Embassy in Ghana in 2012. Georg Apenes was a Norwegian politician and jurist. Walter Darby Bannard was an American abstract painter. Cai Qirui was a Chinese chemist, educator and academician of the Chinese Academy of Sciences (CAS). He was known as the founder of Chinese catalytic chemistry. An academician is a full member of an artistic, literary, or scientific academy. In many countries, it is an honorific title used to denote a full member of an academy that has a strong influence on national scientific life. In systems such as the Academy of Sciences of the USSR, the title grants privileges and administrative responsibilities for funding allocation and research priorities. The Chinese Academy of Sciences, with historical origins in the Academia Sinica during the Republican era and formerly also known by that name, is the national academy for the natural sciences of the People's Republic of China (PRC). Collectively known as the "Two Academies (两院)" along with the Chinese Academy of Engineering, it is an institution of China, functioning as the national scientific think tank and academic governing body, providing advisory and appraisal services on issues stemming from the national economy, social development, and science and technology progress. It is headquartered in Xicheng District, Beijing, with branch institutes all over mainland China. It has also created hundreds of commercial enterprises, Lenovo being one of the most famous. Gair Roosevelt Allie was an American baseball player. He played one season for the Pittsburgh Pirates in 1954. 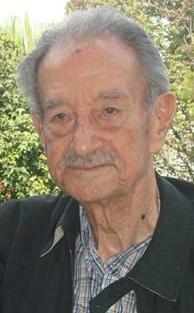 Mario Almada Otero was a Mexican actor with a career lasting over seven decades. He appeared in over 300 films. He was most known for his roles in urban westerns and action pictures. He was the brother of actor Fernando Almada. Girma Asmerom Tesfai was an Eritrean politician and diplomat. He was the ambassador of Eritrea to the United Nations at the time of his death. He also previously served as ambassador to South Africa, the United States of America, the European Union (2006–2011) and African Union. He died in New York City in the United States in 2016. The very seasoned diplomat was also once a college soccer star as an undergraduate student at Bowdoin College, in Brunswick, Maine. He got his BA degree in June, 1973 where he majored in Government studies. He also was an Honor student-athlete and made the Dean's List. He was also very active on campus and was a Student Proctor between 1971-1972. Outside of the class room he was the winner of the George Levine Memorial Soccer Trophy award and was Bowdoin's leading goal scorer of all time until 2007 when it was broken by another player who played all 4 years. Ambassador Girma accomplished the record in 3 years. Georges Balandier was a French sociologist, anthropologist and ethnologist noted for his research in Sub-Saharan Africa. Balandier was born in Aillevillers-et-Lyaumont. He was a professor at the Sorbonne, and is a member of the Center for African Studies, a research center of the École pratique des hautes études. He held for many years the Editorship of Cahiers Internationaux de Sociologie and edited the series Sociologie d'Aujourd'hui at Presses Universitaires de France. He died on 5 October 2016 at the age of 95. Jarlath Carey (1932–2006) was a Northern Irish sportsperson. He played Gaelic football with his local club Dundrum and was a member of the Down senior inter-county team from the 1950s until the 1960s. Carey won back-to-back All-Ireland titles with Down in 1960 and 1961. Luc Mbassi, 58/59, Cameroonian footballer. Francis Duteil, 69, French Olympic cyclist. Maulwi Saelan, 88, Indonesian footballer. Jerzy Szymczyk, 74, Polish Olympic volleyball player. ↑ "Singer Paul Demers wrote anthem for Franco-Ontarians". The Globe and Mail , November 29, 2016.